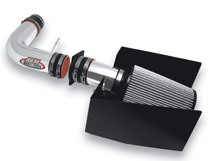 Of all the performance parts you can add to your fuel injected car, truck or SUV, a cold air intake kit is one of the best. Cold air intakes are really a great bang for the buck upgrade. Most kits are inexpensive in relation to what you pay for them and the amount of work that it takes to install. Depending on the brand and your vehicle, a cold air kit can be under $200. Considering you usually get a 2-10% boost in power, that's a good deal. Fuel mileage usually increases slightly, or at least stays the same. That's a bonus if fuel mileage gets better. It's not guaranteed and beware of companies claiming big fuel mileage gains. 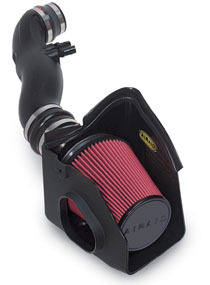 Nearly all cold air intake kits are simple to install. Some vehicles are more difficult than others. Installation usually amounts to removing the original OEM air box, tubing etc. Then replace the new cold air kit. It usually is a few screws and clamps along with wires and mass air meter if they are in the intake tube. You should be very careful with the mass air meter. Treat them like a fine instrument when replacing them. The important difference is where the intake draws the air from. 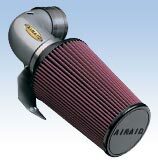 We call them cold air intakes, but it really just means "cooler" air relative to the air under your hood. Under hood air is usually warmer than outside air because of the enclosed area and engine heat. Cooler air is more dense and has more potential to build power. 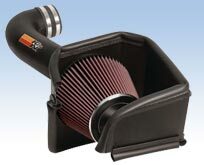 Cold air intake kits draw air from outside the engine compartment. Common places cold air is drawn from is through a fender or under the grille. 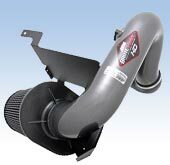 Other air intake kits simply pull air from under the hood. These types of kits are usually an improvement over OEM equipment, but not generally as good as a true cold air kit at building power.